This design is inspired by a family heirloom. Capturing the essence of Art Deco, these earrings compliment the family ring, which they were created to match, yet they possess their own unique identity. 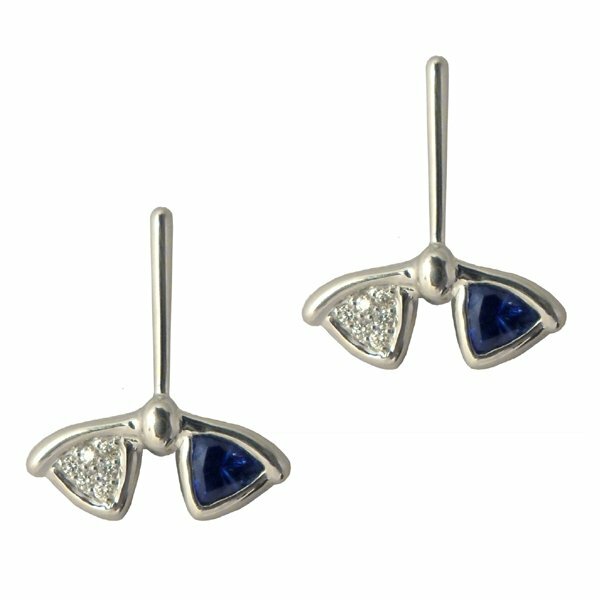 Both pieces echo a traditional mix of white pave set diamonds and rich blue sapphires. But this is where the tradition ends. Trillion cut sapphires adorn the earrings in lieu of the typical oval shape, while pave diamonds create a mirrored form to balance the sapphires.